This book skillfully combines autobiographical stories with clear psychoanalytical theories. During her childhood, the author experienced the Holocaust and was left understandly traumatised by it. It was her desire to confront this trauma that led her to psychoanalysis. 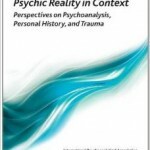 For decades, the coherence of psychoanalysis seemed to be threatened by the conflicting thinking of many psychoanalytical colleagues about trauma and trauma affect, and also about the influence of external reality on the psychic reality discovered by Freud. However, Marion Oliner counters this potential conflict with her innovative theoretical integration, combined with remarkable conceptual outcomes and treatment techniques.